The delightful Dooks Golf Links will host our Society Challenge for the 2nd year running on Saturday 28th October with the 1st Prize on offer being a FREE OUTING FOR 16 GOLFERS! 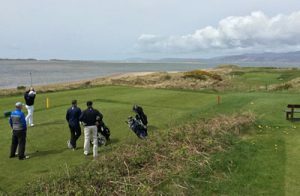 The County Kerry course has been welcoming visitors since 1889 and is a fantastic venue for all levels of players. The format of the day itself is a Team of 4 competition with 2 scores to count on each hole, full handicaps apply. The entry fee per Team is €200 (€50 per person) which includes a Breakfast Bap with Tea/Coffee on arrival, your Round of Golf of course and a Main Course after play in the Clubhouse. You can book your team in Online or if you have any queries please call +353-87-6453537 or email smopen@tomkennedygolf.com. Make sure to check out Dooks on Twitter and Facebook as well! Dooks Golf Links celebrates the hosting of “The Kingdom Father & Son” Tournament on Friday 21st April 2017 as the Inaugural hosting of the Event! 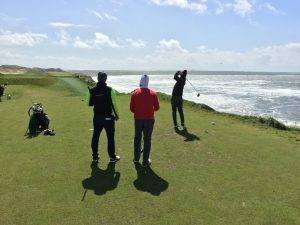 The Tournament will feature a Foursomes format and with its staging on during the Easter Holidays it gives the opportunity for both young & old Father & Son teams to compete in the Event on one of Ireland’s best links courses. The Glenbeigh Golfing Gem has been welcoming golfers for over 125 years now and continues to be a firm favourite with Members & their Guests, Tourist Golfers, Golf Societies and Green Fee paying Visitors alike! Dooks Golf Links is a superb venue as we saw first hand at the 2016 Society Challenge hosted there on Saturday 29th October, and we hope to return there later this year as well! Dooks is also a superb club to join as a Member and they have various Membership categories available including their Links & Lakes Membership with Killarney Golf & Fishing Club. Dooks would love for you to join them for their Inaugural Tournament in April and the timesheet is open, and filling up fast!! 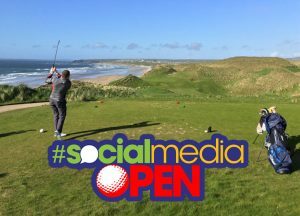 You can book online via their Open Competitions section, by email via office@dooks.com or by phone on +353-66-9768205. The entry fee is just €60 per pair (€30 per person) which is amazing value for a golf course of that quality, with some fantastic prizes available the day. Do you want to be the Inaugural “Kingdom Father & Son” Champions? It’s times like these that I wish my “auld fella” played golf! 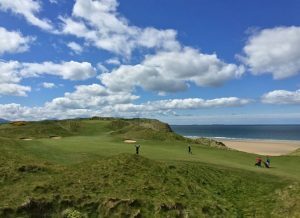 The delightful Dooks Golf Links will host a Society Challenge on Saturday 29th October with the 1st Prize on offer being a FREE OUTING FOR 16 GOLFERS! The County Kerry course has been welcoming visitors since 1889 and is a fantastic venue for all levels of players. The format of the day itself is a Team of 4 competition with 2 scores to count on each hole, full handicaps apply. The entry fee per Team is €200 (€50 per person) which includes a Breakfast Bap with Tea/Coffee on arrival, your Round of Golf of course and a Main Course after play in the Clubhouse. You can book your team in Online or if you have any queries please call +353-87-6453537 or email smopen@tomkennedygolf.com. Make sure to check out Dooks on Twitter and Facebook as well along with their great Membership Offers too!